In the fall of 1988, I worshipped God in a Buddhist temple. As the smell of incense filled the air, I knelt before three images of the Buddha, feeling that the smoke could carry my prayers heavenward. 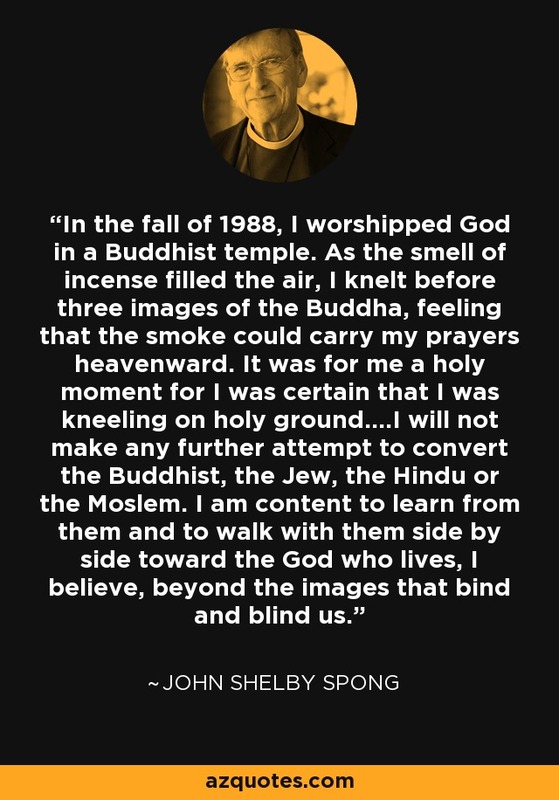 It was for me a holy moment for I was certain that I was kneeling on holy ground....I will not make any further attempt to convert the Buddhist, the Jew, the Hindu or the Moslem. I am content to learn from them and to walk with them side by side toward the God who lives, I believe, beyond the images that bind and blind us.